Your NAS is also a surveillance solution, try it now! The 1, 4, and 8 channel license can only be activated if the Turbo NAS already has a QVR Pro Gold license. What’s the difference between QVR Pro and other NAS-based surveillance systems? In the past, surveillance applications were just one of the many applications on NAS. There was no dedicated storage for surveillance recordings and usually the system performance was limited, making it unsuitable to fulfill the requirements of professional surveillance systems. QVR Pro, QNAP’s brand-new surveillance application, introduces the concept of "dedicated storage space" to ensure that the storage is fully reserved for QVR Pro and the system performance will not be impacted by other applications on NAS. The API can connect QVR Pro with a wide range of IoT applications. These resources can be easily shared to make the surveillance system secure and more intelligent. QVR Pro has an independent recording space from QTS, ensuring dedicated storage space, high-quality recordings, and no performance interference. You can easily expand your storage capacity by simply connecting expansion enclosures，to your NAS or by using QNAP’s VJBOD to use the unused storage of another QNAP NAS. QVR Pro supports over 140 brands and ONVIF cameras. You can also install QNAP’s QUSBCam2 app to turn a budget-friendly USB webcam into a networked camera. 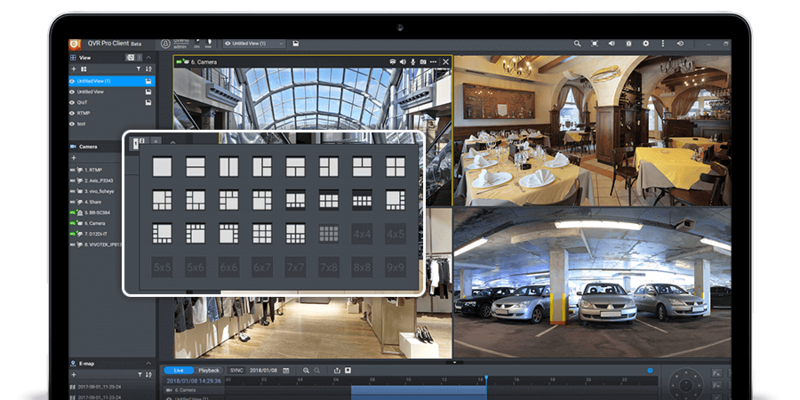 Easily add cameras from different networks, providing greater convenience for organizations with multi-network environments. 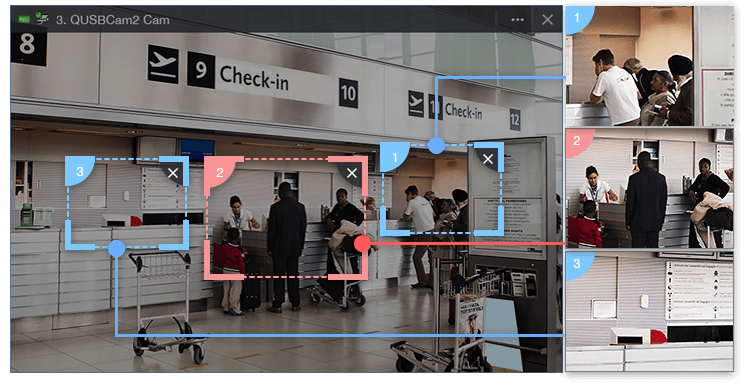 Save time when deploying large numbers of cameras by batch-adding cameras. Cameras with the same brand/model can be added with the same settings. Record into QVR Pro by using the RTSP/RTMP link with no integration needed. Multiple video sources are possible, and are not limited to IP cameras. Assign dedicated bandwidth to each camera to optimize the use of NAS system resources and ensure smoother recordings. 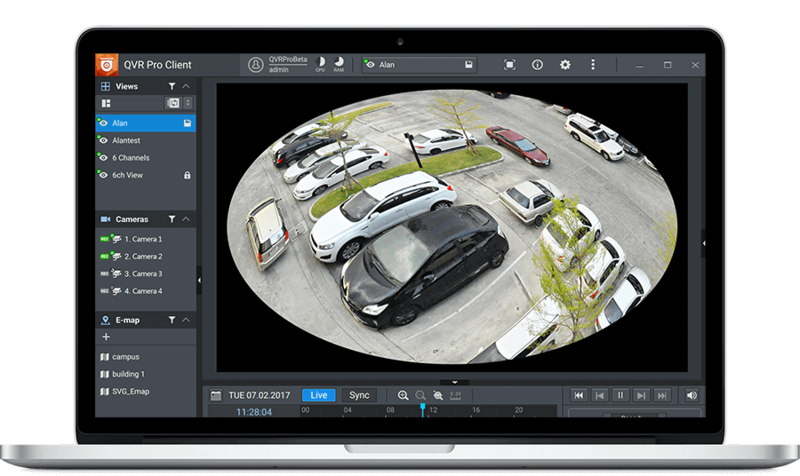 By supporting 360-degree cameras, you can easily monitor every corner of your environment without having to deploy large numbers of cameras. Pre-allocate storage capacity and assign dedicated storage space for each camera’s recordings based on the camera's monitoring scope and importance. You can also set the maximum and minimum recording days for individual cameras and get a usage overview of all video recording spaces at a glance. Assign separate streaming resources and allocate dedicated storage spaces for general recordings and event recordings. This ensures that important events have more system resources. For example, recording events to an SSD can ensure optimal read and write performance to speed up event alerts to reduce your response time. You can set a spare volume in the recording space for your recordings. If the original volume fails, recordings will be stored on the spare volume. The high scalability of QNAP NAS provides key advantages to QVR Pro. When running out of recording spaces, you can expand your storage capacity by connecting expansion enclosures to your NAS or by using QNAP’s VJBOD to use the unused storage space of another QNAP NAS. 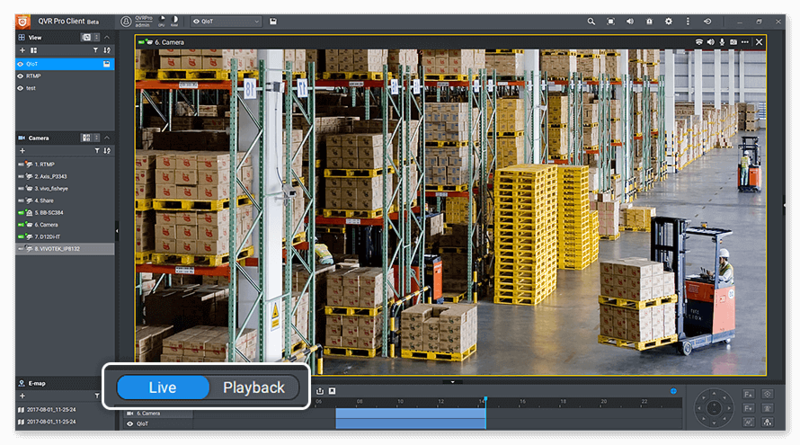 The QVR Pro Client client software can be installed on Windows® and Mac® devices or in QNAP’s HD Station on NAS, allowing you to monitor from different platforms and flexibly switch from live view or playback mode to take full control over the monitored area. Monitor the live view of multiple channels and play recordings on a single interface. With just one click you can switch between live, individual playback and sync playback modes. You can also view recordings at a specific time by clicking the time line or by selecting a time range. The QVR Pro Client provides a highly-customizable display panel. You can change each channel’s display ratio, arrange the display, or use the built-in display module to fulfill your surveillance needs. The updated Region of Interest (ROI) feature supports multiple regional images from the same camera in live view and playback mode. You can define and enlarge multiple areas on the overview image with no selection limitations or additional licenses required. The innovative Qdewarp enables users to view standard fisheye camera recordings in proportional ratios and sizes without affecting original recordings. The distorted parts on the edges can be turned into a clear panoramic view. If an event occurs, you can quickly know the camera’s location on the e-map to ensure a timely response. The event notification provides multiple ways of being informed of emerging events, including flashing red borders of channels, alert buzzers, and the motion icon on the e-map. With advanced video indexing technology, you can have up to ten-times faster playback speeds than the previous version and up to five-times faster exporting of surveillance recordings. The QVR Pro Client mobile app provides multiple display layouts and allows you to monitor multiple channels simultaneously. Under single channel view, you can quickly switch between live and playback modes. If your network connection is slow or metered/capped, you can choose the low-bandwidth mode to view a bandwidth-optimized stream without affecting the quality of recordings. In addition, you can remotely control PTZ cameras and the camera’s preset point from the app. Other features include camera view from the e-map and mobile notifications. "Open" is the core design concept of QVR Pro. 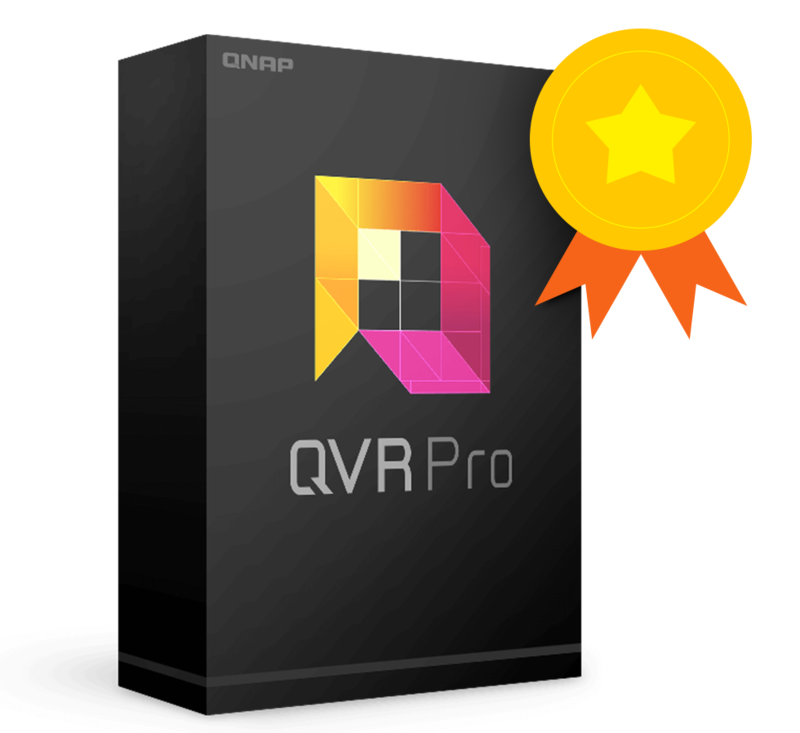 QNAP invites developers to use QVR Pro’s resources to build their own network monitoring automation services. 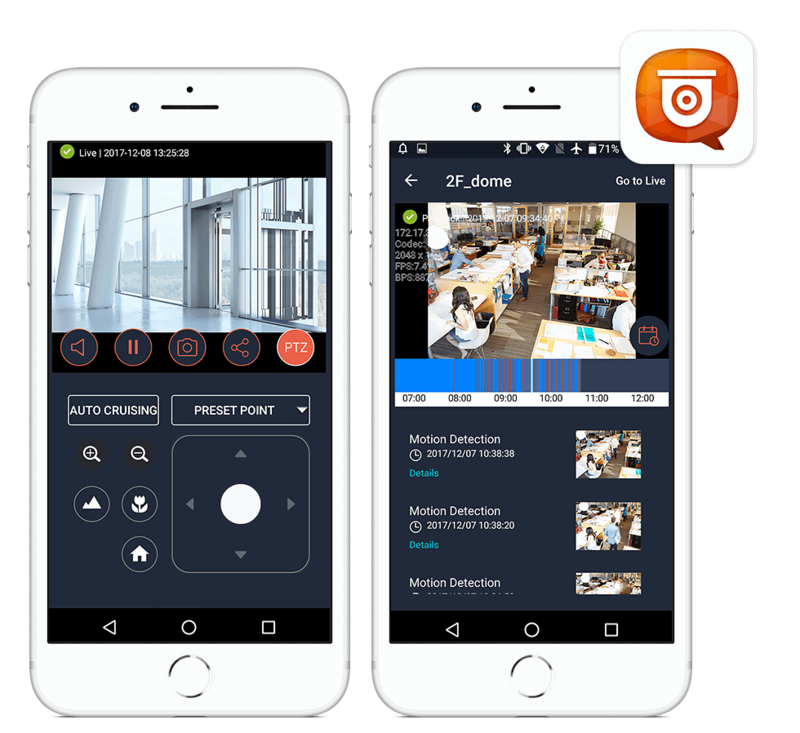 Various APIs are provided by QNAP to quickly integrate a wide range of cameras, configure event alerts and recordings, and to integrate with IoT devices. 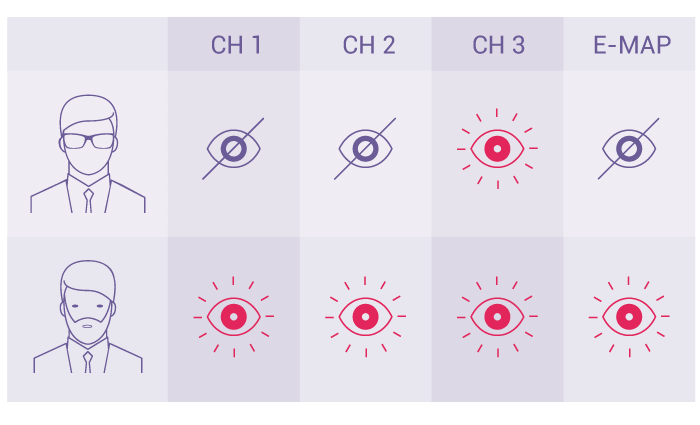 QVR Pro provides detailed privilege settings, allowing for setting individual or group access privileges, providing suitability for environments of all sizes. In addition to the default roles (including Administrator, Supervisor and Viewer), you can create new roles and give customized access to view specific layouts and channels, and also the e-map. Whether your organization is based in one building or sprawled across a large campus, QVR Center greatly simplifies your surveillance tasks by allowing central management of multiple QVR Pros installed in your offices, classrooms, public spaces, and other areas. 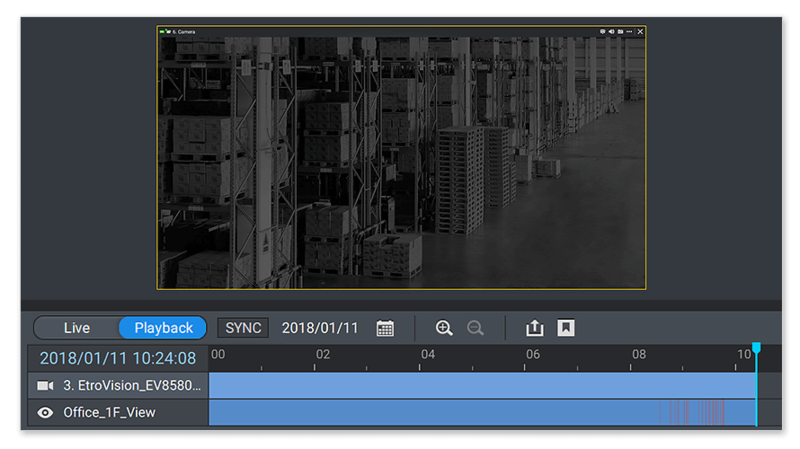 You can also centrally monitor live feeds, play back surveillance footages and receive event notifications from multiple QVR Pros to reduce response times to events. Note: Surveillance Station and VioStor NVR will be supported in QVR Center 1.1 version. QVR Guard is a high-availability failover management app to protect QVR Pro from system failure and to ensure uninterruptible surveillance recordings. QVR Guard features failover functionality that automatically takes over recording tasks from the QVR Pro server if an unexpected system fault or hardware failure occurs. Recording files are saved on the QVR Guard NAS until the QVR Pro system reboots and functions normally. QVR Guard provides dependable redundancy for QVR Pro, ensuring uninterrupted surveillance recordings. 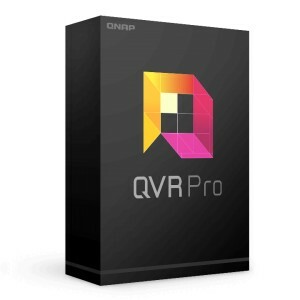 QVR Pro Gold is a purchasable license that provides access to advanced QVR Pro features, including unlimited recording playback via QVR Pro Client, camera channel scalability, enhanced QVR Center central management over QVR Pro servers, and domain privilege management for Windows Active Directory and LDAP. 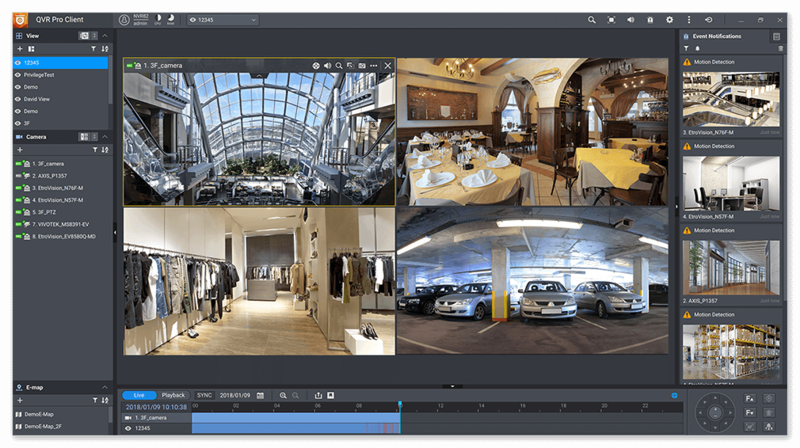 QVR Pro Gold also adds 8 extra camera channels to your QVR Pro server, and users can activate additional QVR Pro Camera Channel Extension Licenses when QVR Pro Gold is activated. By default, QVR Center can manage up to 2 QVR Pro servers without activating licenses. To enhance QVR Center central management, each additional QVR Pro server (up to 128 units in total) requires a QVR Pro Gold license. QVR Pro Camera Channel Extension Licenses (QVR Pro - 1, 4, or 8 Channels) can only be activated on a QNAP NAS where QVR Pro Gold is activated. QVR Pro applications are now available for download, and you can purchase QNAP Pro Gold licenses from the following locations. *Minimum requirements. 8GB RAM is recommended for the smoothest usage experience. **Container Station will be installed automatically.